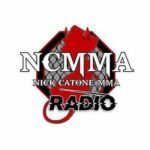 In this episode of Nick Catone MMA Radio, we interview UFC Fighter Eddie Alvarez as he prepares for UFC 211. We will discuss a variety of topics with Eddie including his current fight camp and the matchup against Dustin Poirier. In addition we will discuss what it is like to be a member of the Iron Army and whether he faces any pressure heading into this fight. Lastly, we will discuss the stacked lightweight division and get his thoughts on the future. As always you can follow this at ncmmaradio.com. Be sure to check out our sponsor Headrush at www.headrushbrand.com. The support is greatly appreciated! Catch all NCMMA episodes on MyMMANews here.